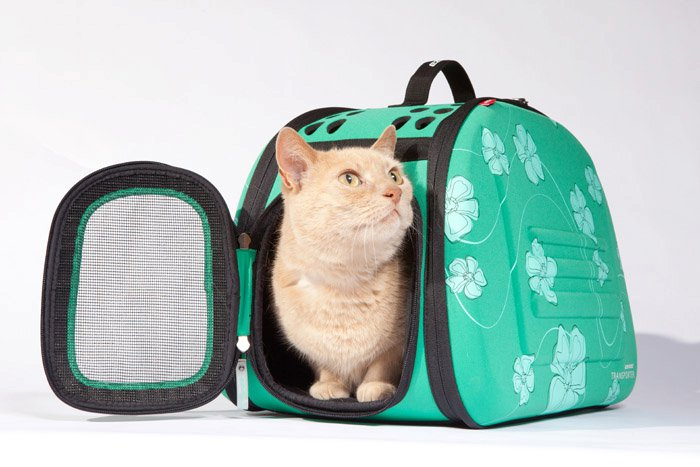 Take your dog or cat on endless adventures. 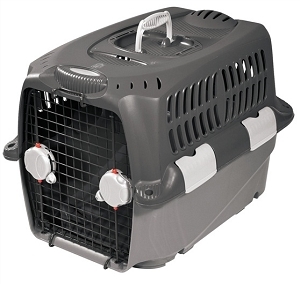 The transporter has been designed using a quick zip-up assembly for your convenience. 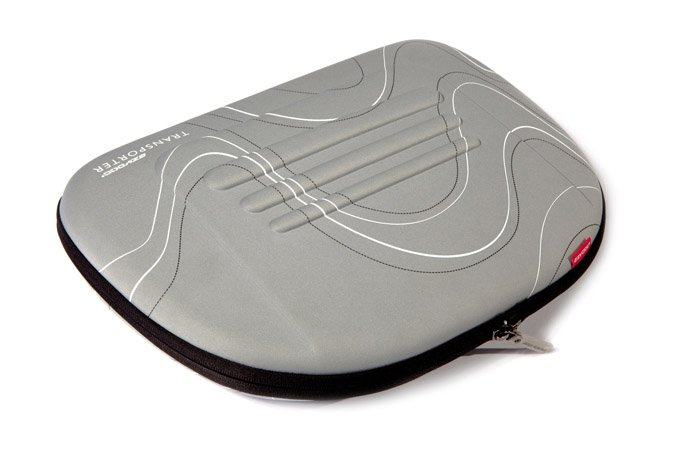 Flat packed, compact and light design for easy storage. 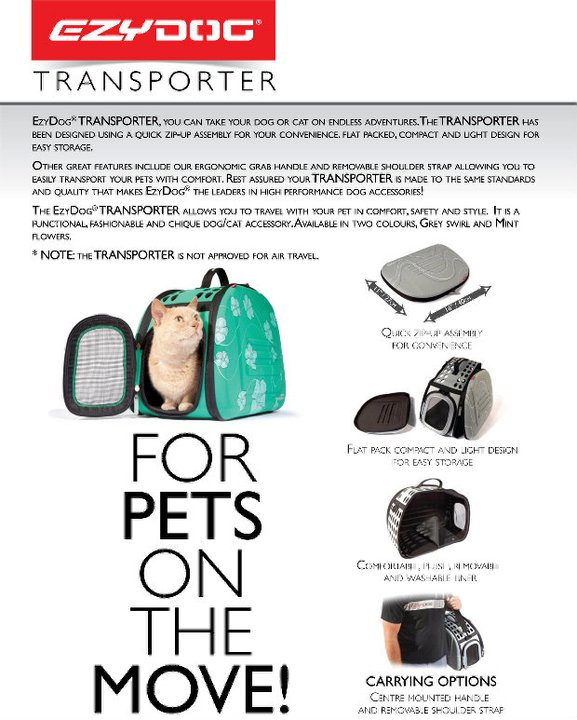 Other great features include our ergonomic grab handle and removable shoulder strap allowing you to easily transport your pets with comfort.Rest assured your transporter is made to the same standards and quality that makes ezy dog the leaders in high-performance dog accessories! 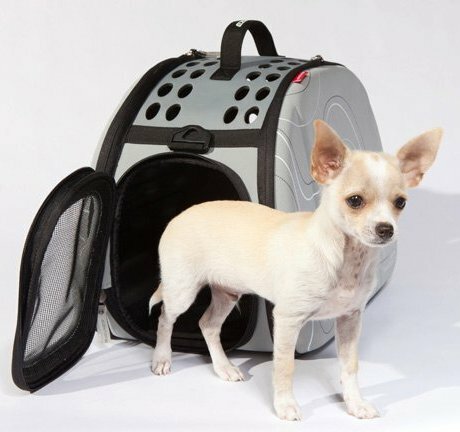 It allows you to travel with your pet in comfort, safety, and style.It is a functional, fashionable and chique dog/cat accessory. Available in two colours, grey swirl, and mint flowers. 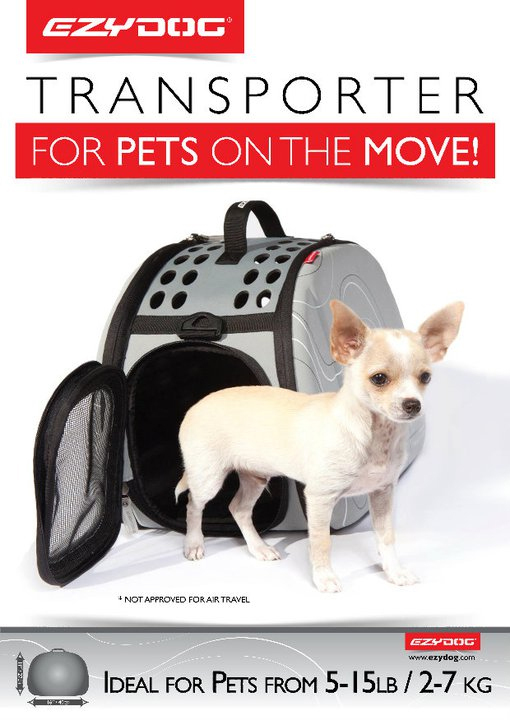 ***NOTE: THE TRANSPORTER IS NOT APPROVED FOR AIR TRAVEL.